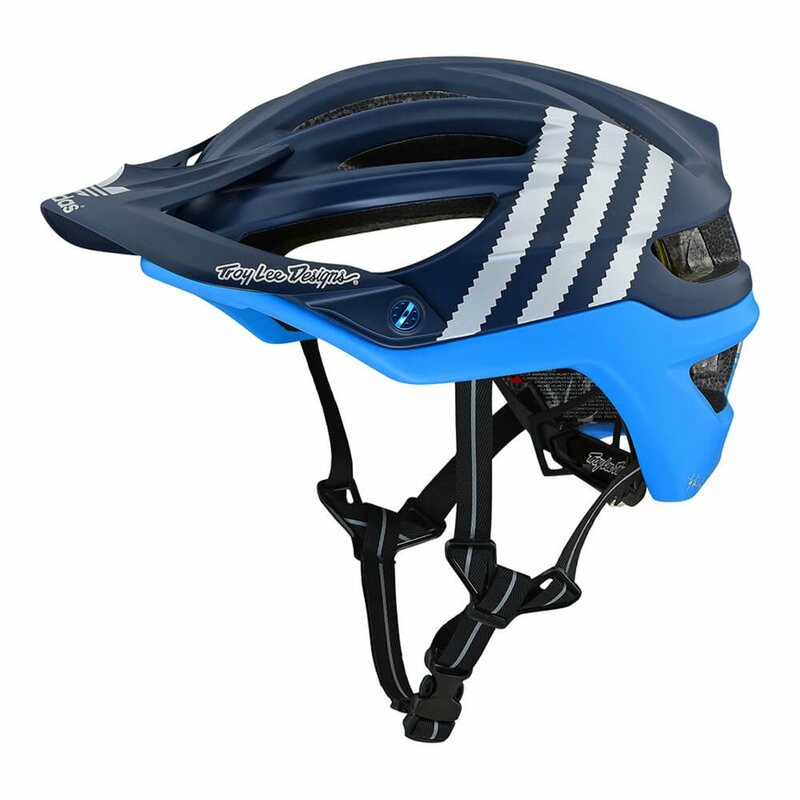 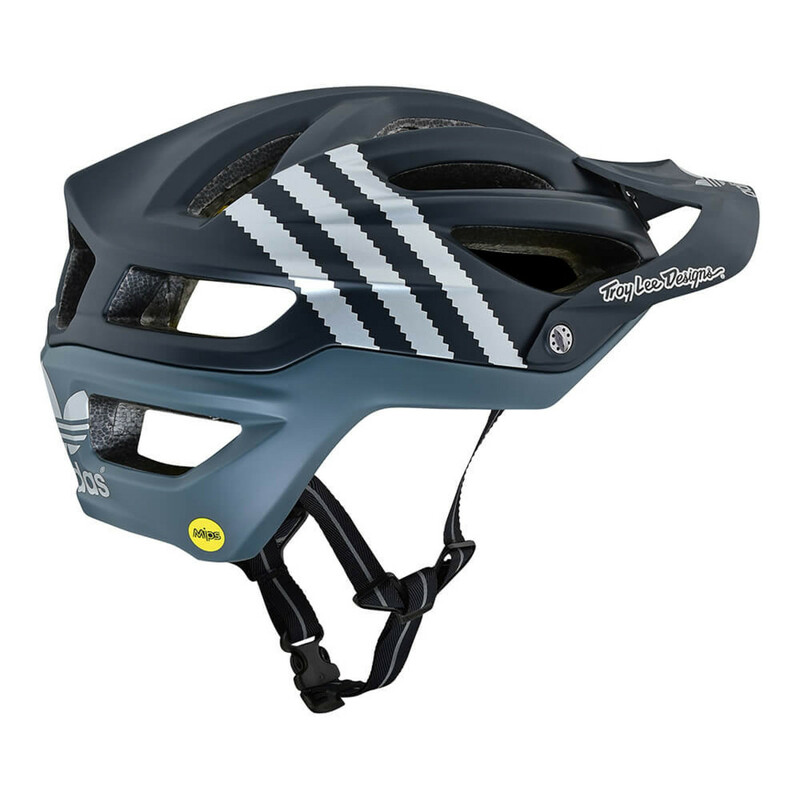 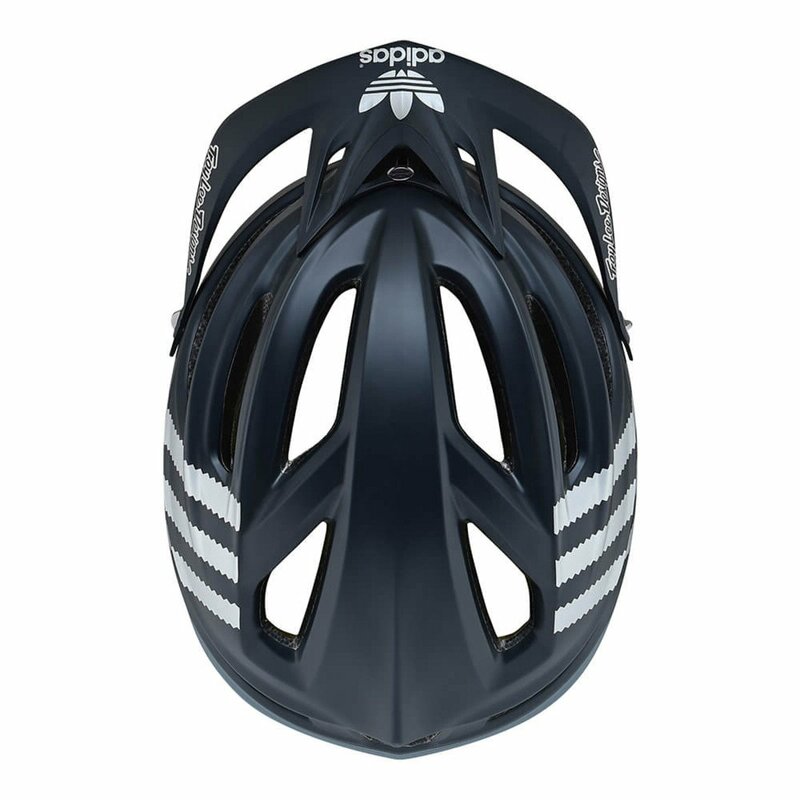 The Troy Lee Designs A2 Mips LTD Adidas Team Helmet is constructed from an aerospace filament reinforced shell liner, making it a lightweight and versatile helmet designed for all-terrain. 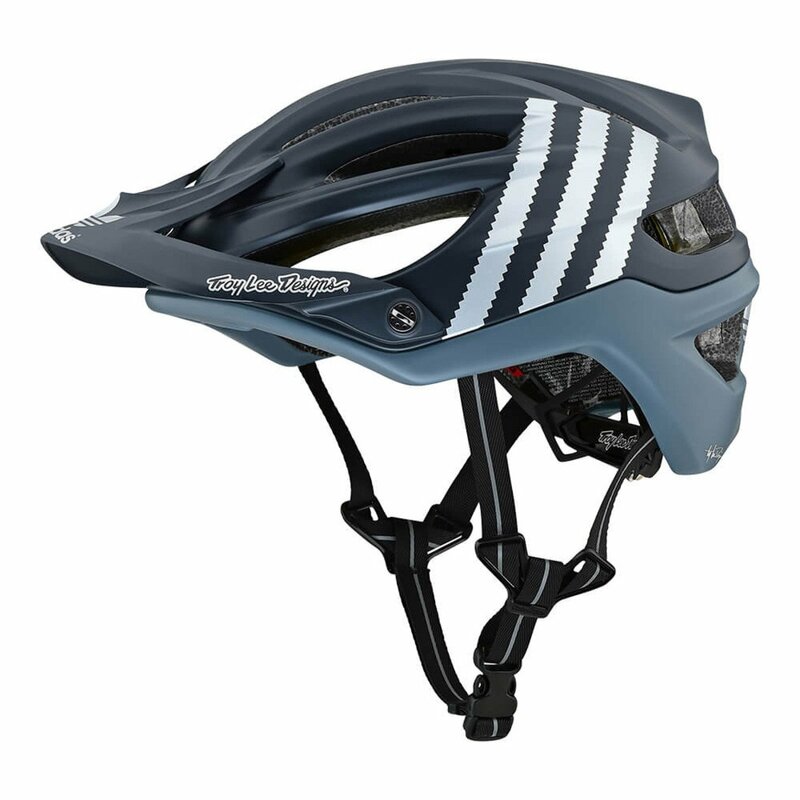 It features 7 vacuum outlets and large front and rear passages for increased airflow and moisture wicking, keeping your head cool and dry as you shred it up on the trails. 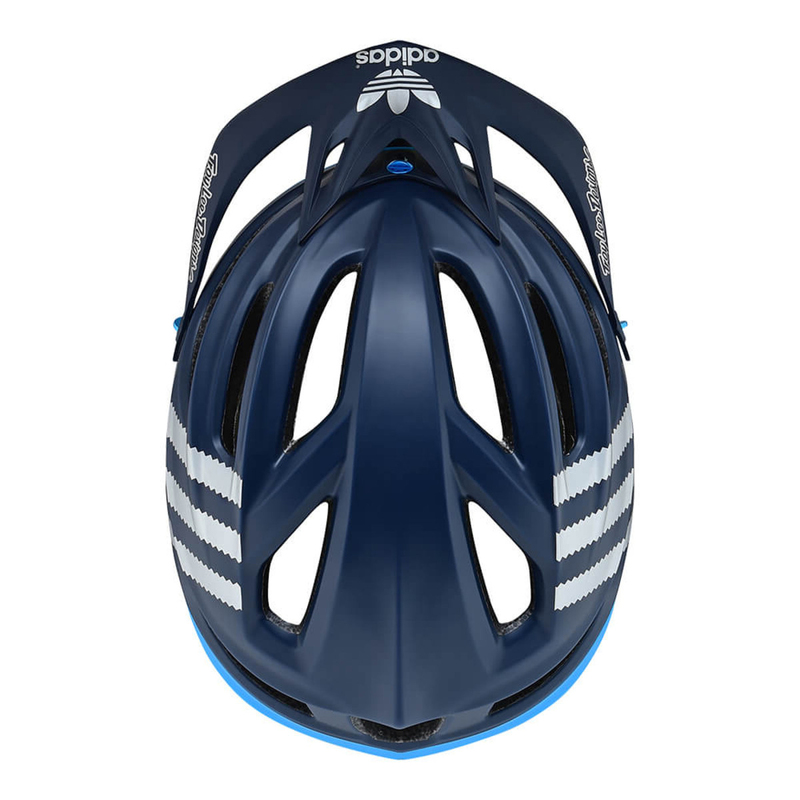 The large eye port provides ample clearance for your glasses or goggles, providing multiple configurations for storage. 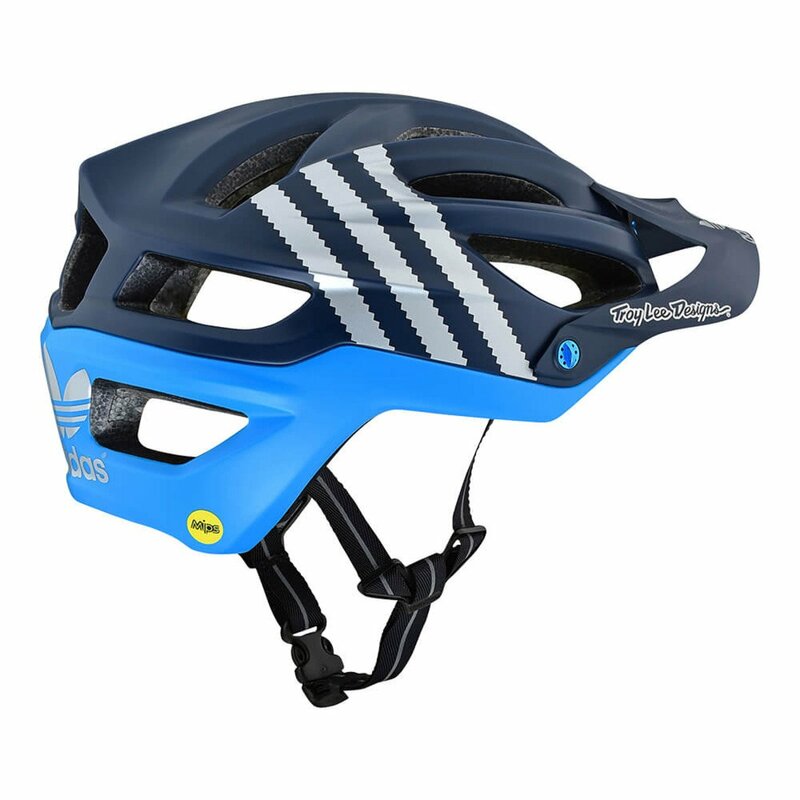 Multi-directional Impact Protection System (MIPS) is a revolutionary technology that lets the helmet slide relative to the head, adding more protection against rotational violence to the brain caused by angled impacts.